Techfloyd: Open Social A Common API for Social Networks. Techfloyd: Open Social A Common API for Social Networks. Today social networking emerg as one of the best communication method on the web. i saw many people when they use Internet first they check their social networking account rather than e-mail. social networking provides more communication within less time with friends ,colleges, and relative at one place. i think this could be a main reason towards popularity of social networks on the web rather than any communication method on the web. Above para was about social networks if you are a social network user , Do you know about Open Social ? if yes then your knowledge about social networking is very good if not , i am here to tell you about this " Open Social ( www.opensocial.org) is a set of common application programming interface ( APIs) for web based social networks application developed by Google along with My space, and a number of other social networks" it was released on date November 1 2007. the application implementation the Open Social APIs will be interoperable with any social networks system that support them, including features on sites such as www.Orkut .com , www.hi5.com, www.myspce.com,www.netlog.com, www.sonico.com, www.frindster.com etc. Open Social rumored to be part of a larger social networking intimate by Google Code-named " Maka-Maka" which defined as meaning " intimate Friend with whom one is of term of receiving and giving freely"
Open Social APIs not only supported by only social networking websites like www.bebo.com, www.facebook.com but also business oriented social networking websites as well likewww.linkedin.com, www.salesforce.com etc Ning released Open Social Support within first day of its launch. if we look at the history overview the industry started out with the introduction of thefacebook application platform but has expanded to many other social networks all over the worlds . 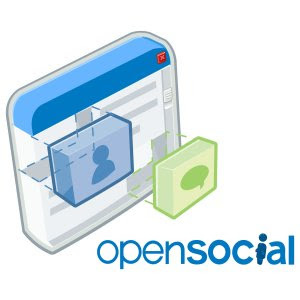 social networks that benefited from adoption of open social include Myspace, Orkut, Hi5 Yahoo etc.